Home > News & Events > Congratulations Class of 2018! 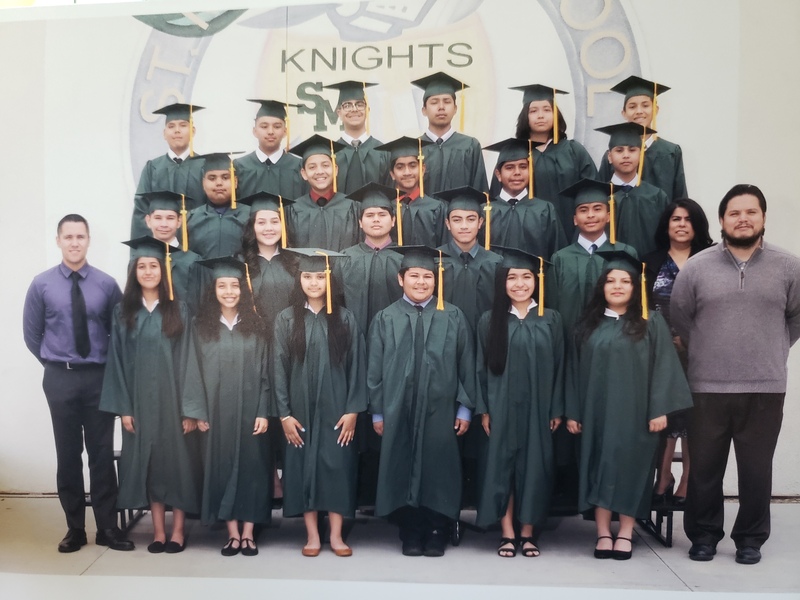 On Saturday, June 9, 2018 our St. Malachy Knights graduated and were ready to take on the next step of their lives- high school. This is another accomplishment they have conquered and the end era in which they haved shared since Kinder. We have seen how the school has fostered their growth in many different faucets. They were nurtured with a strong foundation of faith and academic, in which they will be applying in all aspects of their lives. 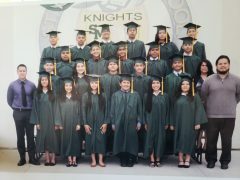 We know that each one of our Knights will continue to succeed in all they do, especially in sharing their faith. The faculty, staff, and administrator would like to thank students and parents for entrusting your children to be part of their faith formation and academic growth. It is through all of you that we continue to cultivate such genuine, kind, wise, and faith filled students. We will continue to pray and look forward in hearing about your future endeavors. And, always remember this is and will continue to be your home away from home.